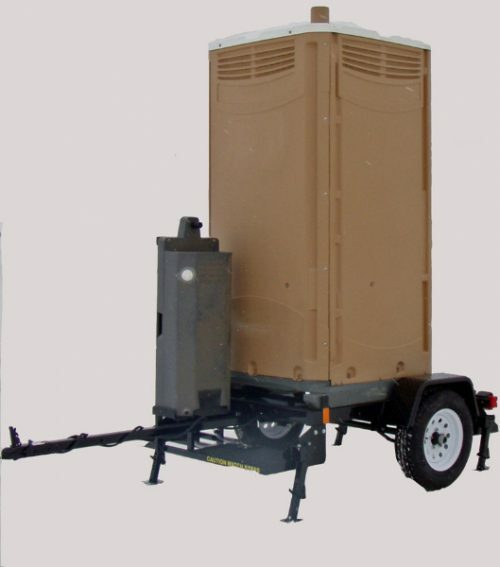 The Roadie was designed by A Restroom Trailer Company to be used anywhere mobility of a Portable Restroom is necessary. This unit is also available with an Exterior Hand Wash Assembly. The Roadie disassembles allowing for LTL shipment on a standard pallet, thus cutting shipping cost to the end user.